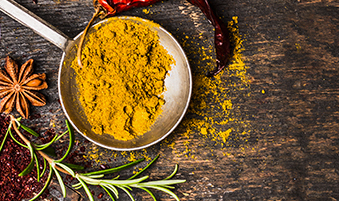 We are specialists in blending spices and ingredients for the food industry. If you are in the process of developing a new flavour, changing an existing product, or are simply interested in knowing more about Carl J. Nielsen and the way we develop products, you are always welcome to contact us. We believe in working closely with the customer to find the perfect flavour and appearance to make a product unique. We introduced a new feature to our range in early 2016 with organic products. We strive to continuously expand our range of organic products. 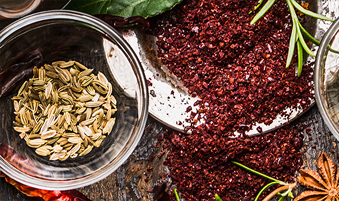 Our aim was to further treat spices to develop a unique process in which flavour and appearance were retained. 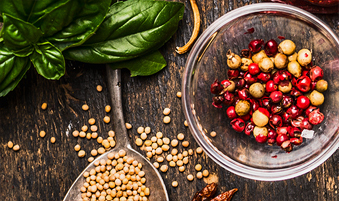 After a ‘Trend’ event in 2015, our roasting plant became a reality – our Inspirer & Trendsetter put us to the test by recommending that herbs and spices needed extra flavour and aroma.